Go team! From hockey to baseball, football, soccer, and more, shopping for the special sports fan in your life during the holiday season has never been easier. There’s a lot to love about our selection of unique gifts for sports fans, from heirloom-quality sports-themed Christmas ornaments to stunning glass and decor you’ll find nowhere else. Discover the perfect gift (or an incredible addition to your own collection of sports memorabilia) at Wendell August Forge. 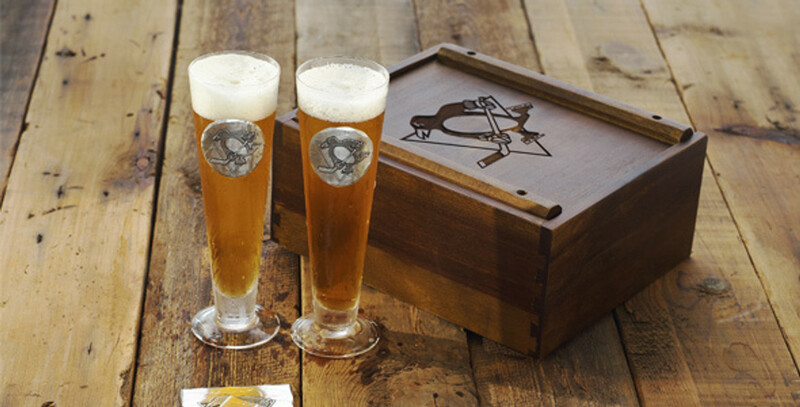 Whether you’re looking forward to hosting the big game or celebrating your favorite sports team during the holidays, our selection of unique gifts for sports fans offers something for every occasion. Shop an array of handmade ornaments, made right here in our Pennsylvania forge. We also offer a number of engraved platters, mugs, coasters, decorative license plates, and so much more. Looking to celebrate a specific team? We have gifts for Notre Dame, Penn State, the University of Pittsburgh, and several others. We also have gifts for all the hockey players, footballers, baseball players, gymnasts, swimmers, golfers, and cheerleaders in your life. We look forward to helping you find the ideal gift or collector’s piece in our truly one of a kind collection. For help navigating our current inventory of unique gifts for sports fans, or to place a custom order for someone special, we encourage you to reach us at (800) 923-4438, or to connect with us anytime via email at info@wendell.com.